That’s right. In just one month, our little tot will be turning TWO. Although, with her already wearing some 3T clothing, it feels like she’s been two for months now. An almost-two-year-old is like having a really fun, really volatile roommate. For the most part, they’re incredibly happy, dancing and spinning in circles at random throughout the day, wanting to go to the park, eat treats, and make all kinds of amazing artwork. But occasionally, something sets them off, and they’re screaming in the middle of a crowded store or kicking off their boots and socks and then crying that they’re no longer wearing their boots and socks. Usually, though, they’re pretty much the most fun person ever, which makes the not-so-fun moments easy to forget. Sally is loving New York City. She points out every dog she sees on the street, which is at least one every few seconds. She asks to ride the “choo-choo train” (the subway) every single day, and she loves yelling out the sounds she hears outside our window: “Horn!” (hello, NYC drivers!) “Bells!” (the bell tower by our house). Since our last baby update, her vocabulary has really exploded, from sentences like “I need help!” and “I got it!” to helping me count to 10 (a new development just last night!). Sally’s been in the 99th percentile since month one. And she just had another growth spurt, which meant, you guessed it, buying new clothes — and shoes. I took advantage of all the Black Friday deals swimming around a few weeks ago and spent $100 on a new wardrobe for our girl, including an NYC-winter-ready coat, hat, and gloves. Yeesh. Luckily, since we’re having another girl, all of Sally’s clothes will be handed down, which gives my sobbing wallet some comfort. I also spent $50 on a sleeping bag for our stroller. Yep — a sleeping bag. For our stroller. Welcome to NYC, folks. It’s really cold here. And Sally and I run all our errands in said cold weather. And the wind tunnels on these NYC streets make me want to curl up in a ball and never leave the house. But we must leave the house because our house is small and we would lose our mind if we never left. The sleeping bag was an unexpected, though necessary expense. I’ll post a picture of her all bundled up in it sometime soon. I try not to think about how much warmer she is than I am when we’re out and about. Finally, we bought diapers and wipes, which was around $50. So our grand total for month 23 is $200, one of our higher months of spending with little Sal. For the been-there-done-that crowd, does this sound pretty typical? How do we relate and differ? Am I crazy to hope we can have Sally potty trained by the time the new baby arrives? I really don’t want to shell out twice the $$$ for diapers come April. She is so cute! Looks like she’s loving NYC! How fun! 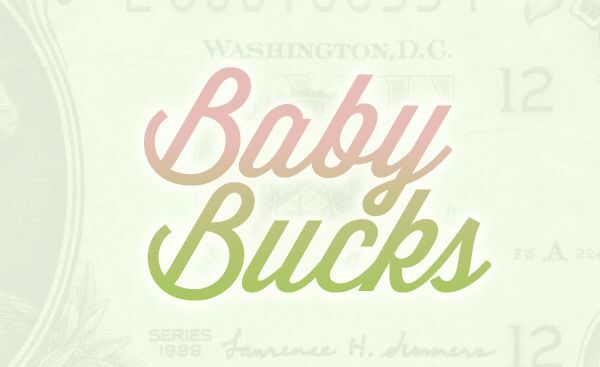 My only question would be–are there any good second-hand or thrift stores with decent kids clothes? I don’t know what the NYC market is like, but there’s quite a bit to be found used here in Boston. But, might not hold true there. OMG she likes My Little Pony??? My girls are obsessed…when my oldest was a little over one at Easter I got her some eggs that had mini ponies. She still has all 6. Fast forward to almost age seven and she has asked for a pony themed cake for her birthday for the third year in a row! I’m cleaning out the duplicate ponies this weekend to make room for the new batch! What temps are in NY right now? We are heading to CT for Christmas and plan on bringing the girls for their first train ride on metro north to NYC. Cannot WAIT to bring them to see the tree! But the weather will be a shock to them since they have now spent more of their lives in GA than the northeast! Sally is obsessed with horses. And if she’s anything like your girls, it sounds like her obsession won’t be leaving anytime soon! I hope you guys and your girls enjoyed NYC! Seeing Sal’s reaction to the Rockefeller tree was the best! Don’t think of the sleeping bag as $50 down- think of it as savings loads of $$$ on taxis! Re: potty training- I don’t know. I hear girls are easier. And I have only been through this with one kid, so I know nothing, really. My son just turned three. We had tried to potty train him at 18 months, 2, and 2.5. We tried everything we could think of. It was always a complete disaster. A week before his third birthday, he woke up and told me he needed underpants. Then he proceeded to use the toilet on his own. Anyhow, its been over a month now, no accidents, really no work on our part, and he is waking up dry as well. So in light of my vast experience (ha!) I say wait till it’s easy. Love your insight. It might be a HUGE mistake, but I’m going to give potty training a try one week in January. And if it’s a total bust, I’ll wait until she’s three! I’m totally okay with failing, too, but I just have to try it once! Thanks, Tracy! That gives me hope! And wow, your son is a go-getter! 22 months! Fingers crossed we have success! So cute! Especially on the swing! That’s awesome how much of a vocabulary she’s developing, and I definitely feel you on the whole buying clothes issues. Our girl is really tall and kind of skinny, but at 14 months she’s in 24 month or 2T clothes. It’s crazy! We bought her a few clothes off the clearance rack to get us through, but we’re hoping to hit up the awesome after-christmas clearance for more. Still, clothes are expensive! Good call on looking at after-Christmas clearance! It’s crazy having a kid who grows so fast! I’m really hoping this is the year Sally quits being in the 99%!! Her chin dimple is one of the cutest things I’ve ever seen. On potty training, you’re not crazy to hope that she’ll be potty trained by April. Our sons are 26 months apart, so roughly the same gap as you’ll have when your little one arrives. 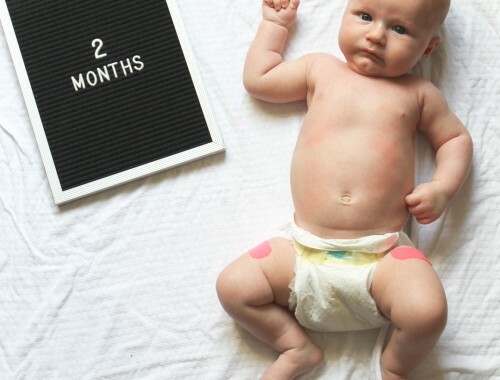 When our older son turned 2, we started thinking about potty training him and a month before my due date, we did the Three Day Potty Training method and it worked! He started going to preschool in impossibly adorable toddler underpants and had maybe one accident a week during naptime. Pretty good for a 2-year old, I think. Of course, all of that was undone when he was left with the grandmothers for a few days while I was in the hospital having the baby, because they just found it easier to put him back in pull-ups than try to get him to use the potty. I was quite irritated about that, but ANYWAY. We didn’t get another chance to do the TDPT method again, so he just did his best and stayed in pull-ups for the next few months. I didn’t want to traumatize him by forcing potty training again and getting used to a baby in the house all at once. When he started keeping his pull-ups dry all day, we put him back in underpants and that was that. Our second son resisted potty training at all costs until about three months before he turned 3. Then he just started using the potty and never went back. Every child is different, but I think it’s at least worth a try. Good luck! Thanks for your insight and tips, Rachel! Really, really helpful. It makes me want to get it started earlier than later so she’ll have a few months under her belt before baby #2 gets here. I’m going to try the 3-day method you mentioned (which I’ve heard is closer to a week). I’m hoping to pull the trigger in the next couple weeks, so fingers crossed it works! I do second what Frugalwoods says, and check out some thrift stores. There are some great ones if you don’t mind the journey — there’s a chain called Unique Thrift that has it’s locations in the outerboros but is an organized thrift store and offers plenty of kids clothing. The prices are a little higher because they’re organized but they have sale days on Mondays and Thursdays with 25% off and 50% days around postal holidays so it’s worth it then. There’s a great one at Jay Street Metrotech in Brooklyn so if you’re ever in that area, I recommend. I also love that you took her to Shake Shack! LOVE those crinkle fries. Great to know, Tara! Thanks for the tips… We’ll have to check them out ASAP. And as far as Shake Shack goes, I crave that place nonstop while I’m pregnant… it’s scary having one just a subway ride away! Fact: Americans potty train our children at much older ages than much of the world. So, yes, you can potty train Sally before the baby. Haha, thanks Becky. Your comment actually makes me feel a lot better! She’s definitely interested, albeit a very stubborn little girl, so it could go either way! Thanks for your tips and experience… it really helps! Our little guy is 2.5 and he is more of less potty trained (he has a few poo accidents still). It is totally doable as long as the kid is ready. I have also heard girls are a little easier than boys, but I have also hear some kids regress a little when a new baby is around. He didn’t much, but I think that is because daycare was pretty on top of the whole potty training thing. I’m worried about Sally regressing when the new baby comes, so I’m hoping to get this potty training thing started this month if possible. Here’s hoping it works!! Hahahaha, “a really fun, really volatile roommate” paints the perfect picture of what it’s like! I am so happy to hear you are all loving being back in NYC! Oh my!! Good point. Hopefully with a two-year age gap they won’t catch up to each other too fast, but you never know! I think you guys do amazing with keeping baby spending in check- I definitely spend more on my 2 kids. As for potty training, I say go for it! My girl was trained at 22-23 months. And, I’m a big advocate of the no pull-ups method, which saves even more $! Thanks, Nicole! I’ve been reading up on it, and I’m gonna try to do no pull ups except during naps and nighttime. I REALLY hope it goes well. Your experience with your girl gives me hope! So Sally’s turning two in January, eh? Wow – how time flies! Our granddaughter’s birthday is also in January – New Year’s Day to be exact. I’ll always remember the New Years Eve before she was born. We were entertaining at home with neighbours when our daughter called from the hospital, already in labor, and told my wife that she was expecting the baby soon and so to tell dad (meaning me) to not drink since she expected us to drive over to the hospital when the baby was born. Well the baby arrived early New Years day and I have to say that it was one of my most sober New Eave’s in years! As to potty training, this grand dad can’t really help you guys much here. All I know (from listening to my wife discuss the topic with a girl friend of hers (whose daughter is currently trying to potty train her 2 twin boys) is that you don’t try to potty train them on a regular toilet (which is much too big in the young child’s eyes) but rather use a small child-size potty that the child will be more comfortable using. I can understand that logic. If I was a 2 year old I sure would not want to risk getting flushed down a humungusly big toilet! That’s a great story! And probably one of your most memorable NYE’s to date for multiple reasons! Our daughter is almost the same exact age as Sally, and I’d say you’re doing really well in the clothing department if you only spent $100 on a wardrobe!!! I am still learning how (and where) to buy for our daughter – you know, we live in the south where toddler fashion revolves around All-Things-Smocked-and-Monogrammed. That stuff can get pretty pricey. But I’ve learned how, what, and when to buy on consignment and when (and where) to buy new. And I think much of what you buy can be reused by your new girl, even if you have to tweak some things (layers, hemming, etc.).. But, if not, a consignment sale/store is the way to go! But, we usually spend about $40 on diapers & wipes (I usually buy diapers in bulk when they go on sale at Target). I think buying clothes is one of those things you just get better at with time. I’m still learning when and how much to buy for Sal! It sounds like you’ve got it figured out! I need to figure out the consignment store options out here! Two of my cousins potty trained their kids before 1.5 years, while working super demanding jobs at the time. My other cousin, who is a stay at home mom, potty trained her kids when they were about 12 months!! 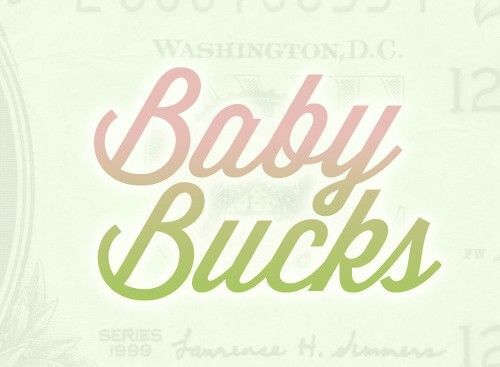 They seemed to feel that it was worth it to invest a terrible week or two and then save all the diaper money/hassle of diapering, plus we’re not American originally, so our families think it’s totally weird that Americans wait until babies are so much older. So yes, it’s painful, but totally possible! In fact, it’s probably easier to do it before the baby comes when you’re not extra-distracted/frazzled. A fellow UWSider! That’s awesome… we love meeting new friends. I don’t know about you, but we are loving the UWS so far! Thanks for your insight and stories! I REALLY hope it works out and our girl is diaper-free by the end of January! My son is super tall too! I actually buy clothes for my kids at the end of each season…that way, I get rock bottom clearance deals (better than consignment) on clothes for next year. I buy fall/winter clothes in February and spring/summer clothes in September. This can get tricky, because you have to store them, and you always run the risk of buying the wrong size, but i usually just buy the next size up and, luckily, I haven’t been wrong yet. Also, stores like kohls often have TONS of baby clearance so there are plenty of options, and their return policy is so generous that as long as you keep the receipt, you can get your money back if you did happen to guess wrong size wise. Clearance prices are usually better in store than online, but you can still get lucky. My favorite thing is when I’ve paid ultra low prices for 90% of their wardrobes, I feel like I can splurge on one or two things when the season arrives and I’m infatuated by a new trend or pattern. I hope potty training goes well! I’ve read that many girls potty train well around two. I bet Sally will do great! I’d love to start buying clothes at the end of the season… I just need to have more space and better organization to make it happen! It sounds like the awesome deals are worth any extra hassle that may come from it. Maybe I’ll give it a try at the end of this winter. 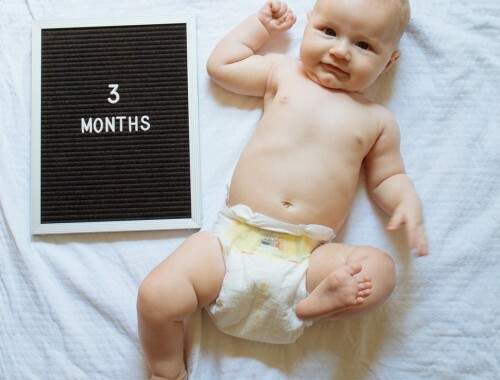 And thanks… we had a few hiccups last month that kept us too busy, but we’re planning to give potty training a try this month. Fingers crossed!